Managers at Jet Airways will now get their December 2018 salary late, said a source in the airline. Salaries of pilots, engineers and senior management were already being paid in instalments for the past few months, as the airline faced pressure to settle overdue payments to lenders and vendors. The airline’s management wrote an email to employees on Friday evening, informing them about the delay. The email also said the new date of salary payment would be communicated next week. However, a few hours later, the email was recalled. The airline claimed there was no delay. “Jet Airways would like to clarify that except for the informed groups, all salary payments are up to date,” the airline said in response to a query. Sources at the airline said the ground staff and cabin crew have already got their December 2018 salaries. Top executives, pilots and engineers are yet to receive 25 per cent of their October 2018 salary. They have been assured payment in January this year. The airline said last month salary payments would normalise by April this year, and pilots, engineers and senior management would get their March salary in full, in April. The airline has already enforced a 5-25 per cent salary cut for 150 senior-most executives, including its Chief Executive Officer Vinay Dube. A pay-cut plan for pilots and engineers was dropped because of resistance from both. The airline had 16,000 employees and a wage bill of Rs 3,174 crore in March 2018. The latest instance of salary delay comes two days after the airline declared that it had defaulted on principal and interest payments to a consortium of lenders, including State Bank of India. This resulted in credit rating agency Icra downgrading the airline’s debt rating. The airline has to repay debt of about Rs 1,700 crore between December and March. It is negotiating with lenders for fresh funds and debt-restructuring. Jet is also in talks with strategic investor Etihad Airways for fresh funding and loan guarantees. Reuters on Friday night reported that the airline is close to reaching a deal with SBI for a fresh loan of Rs 1,500 crore to meet its working-capital requirements. The airline has scheduled a meeting with its lessors and lenders on Tuesday to discuss a payment plan. Jet has defaulted on lease rent and vendor payments, and is under pressure from them to clear the. The airline deferred induction of Boeing 737 aircraft in its fleet, and will return a few of its older planes before completion of lease terms. It has also carried out a network rationalisation and is suspending flights to nine destinations in India and West Asia. 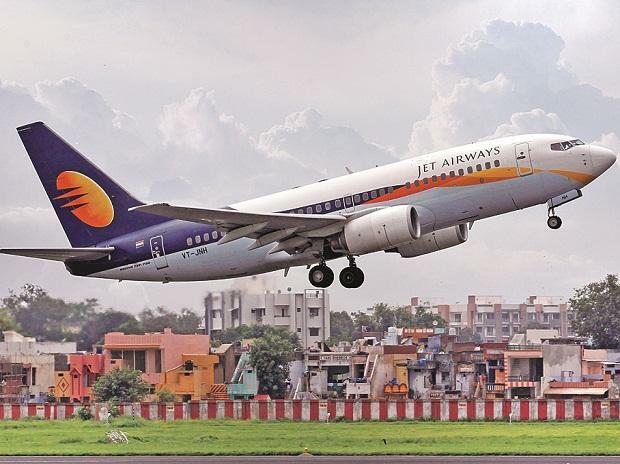 Jet Airways posted a net loss of Rs 1,297 crore in the second quarter of fiscal year 2018-19, its third successive loss. It had a net profit of Rs 49 crore in the same period a year earlier.